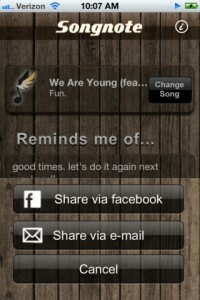 When you’re surfing the web, there are tons of ways to share the songs you come across. When you discover a video you really like on YouTube, you can easily share it with a single click on as much as 10 different social networks. Email it or share it on your personal site. But what if you’re on a bench, in the park, listening to that song on your iPhone that reminds you of your boyfriend, or the first day of school, or your prom, and you really want to share it with someone else? That’s when Songnote comes to the rescue. iPhone cameras have become so advanced that you don’t even need to carry your regular camera wherever you go. You know that no matter what, you have your iPhone with you so you can capture any moment worth remembering, whenever and wherever. However, organizing, tagging and sharing photos can sometimes prove to be a real hassle. Especially if you’re the type of person who loves to take a picture every time you see something that catches your eye. But there’s no need to worry about all these things. Because there are at least 4 apps that will make the task as easy as it gets. When you send or receive photos, are you worried about other people than the intended recipients seeing them? Do you call your friends every time you send them a personal photo to make sure they’re alone when checking their email? Or when you receive emails with pictures attached from your friends, you avoid downloading them until you get home? Well, it’s time to stop the madness. Because now, you can make sure your pictures are only seen by the people you want to. Just download Encrypt A Pic from the AppStore, and keep your pictures as safe as possible. We love to take photos and videos to share them with our friends. Facebook, YouTube, Flickr, Instagram and Pinterest are just a few social networks that prove it. But weren’t there at least a couple of times when you decided not to share a video because you didn’t want everybody to see it? Or ended up removing a photo because of annoying comments coming from people that had absolutely no business with the picture you shared? Well, now you don’t need to worry about who sees your pictures or videos, and what they might think. Because, with a single download of Tracks from the AppStore, you can take beautiful pictures and videos that you can choose who to share them with. Being a photographer at the beginning of your career can be very difficult. Especially if you’re more interested in portraits than landscapes. Going to a beautiful girl in the street and asking her to let you take her picture might end up in shouts and her calling the Police. Not to mention asking a professional model to pose for you. But all the laughing and the struggling to get these beautiful people in your pictures is over. 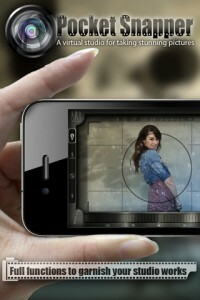 Because now, you don’t need real models to pose for you when you have Pocket Snapper. Download it from the AppStore, and check it out for yourself. When was the last time you printed out your pictures and created an album? 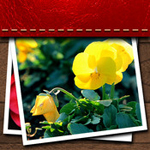 Digital cameras offer us the possibility to take as many pictures as we want and stock them on our computers, so printing out pictures and arranging them inside an album seems to be too much of a hassle. 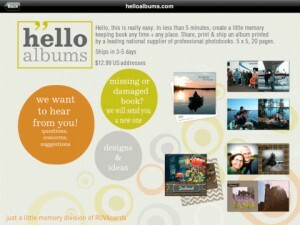 But, with helloalbums, you can easily create and print your own beautiful album, without leaving the comfort of your home. Sounds good? 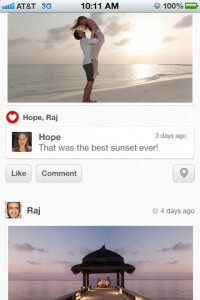 If so, then grab helloalbums from the AppStore, and check it out for yourself. Remember the good old days when you carried around a few dozen film rolls for your then-state-of-the-art film camera? You know which one I’m talking about. You had to wait for it to warm up the flash. You would scroll a little wheel before each picture. Yes, that’s the one. Probably not many of you miss it, perhaps some of you didn’t even own one. 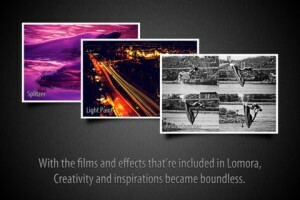 But I did and getting the same classic effects on a digital camera is not really possible anymore. But who carries around a digital camera when you have your trusty iPhone with you? And now, with Lomora 3, you’ll be able to enjoy all the good (and the bad) of those silly little carry-on film cameras right on it.